The ships, taking part in Operation Albatos, the seizure of the Bolivian flagged cargo ship M/V Joudi have returned to Aksaz Naval Base. More details about the Operation Albatros has emerged.The 13600 kilogram marijuana with a street value of 250 million USD was loaded to the ship in Tartus in Syria. All ports in Syria are controlled by the Mr Assad’s regime. On 2 January 2015 the ship was spotted by a Turkish Coast Guard plane and was tracked. In the mean time the off shore patrol vessels TCSG Yaşam and TCSG Umut left their ports and proceeded to intercept the ship. 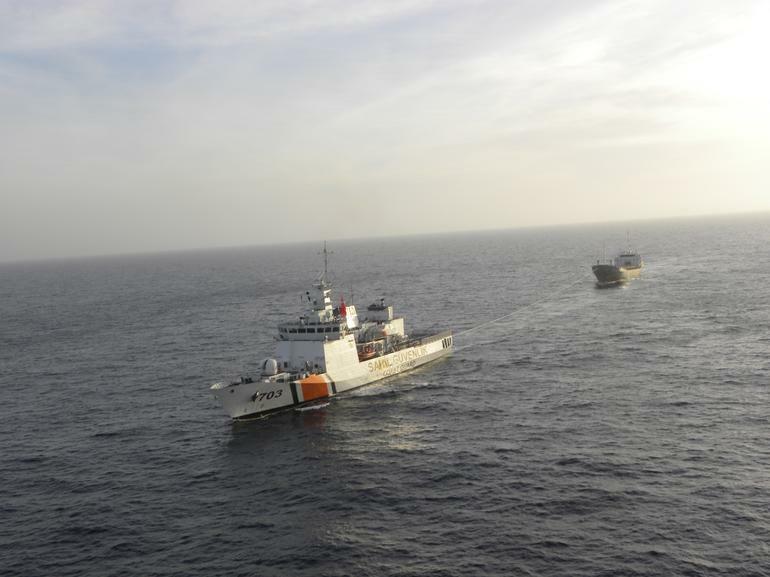 During the transit of these cutters Turkey contacted Bolivia the flag state of the ship according to United Nations Convention Against Illicit Traffic In Narcotic Drugs And Psychotropic Subtances, article 17. After Bolivia has granted Turkey the right for the seizure. 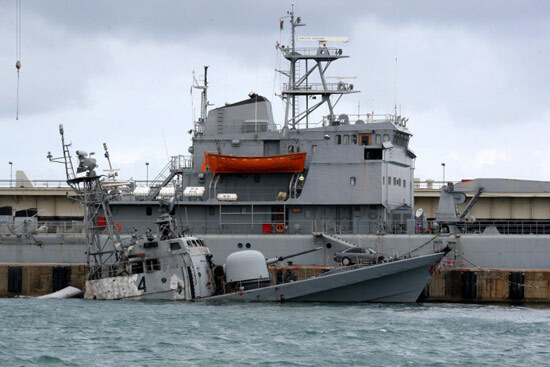 On 5 January 2015 Turkish cutters closed on the target and demanded the cargo ship to stop allowed to be boarded. When M/V Joudi did not cooperated she found herself at the receiving end of the cutters powerful water cannon. But this was not enough to stop the ship. The vessel boarding search and seizure team had to fast rope to the ship. After the ship was totally under control, narcotic detection dogs were brought on board. The stash was found inside one of the containers in the cargo bay. Operation Albatros. The red line is the track of TCSG Umut. 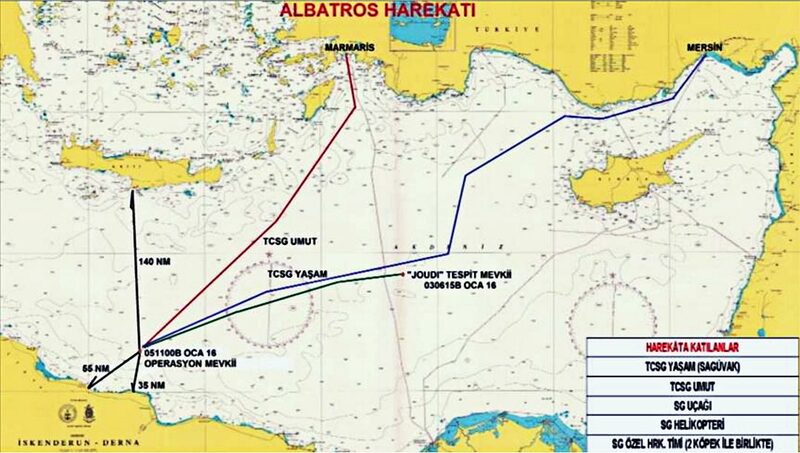 The blue line shows the route of TCSG Yaşam. The green line is the track of M/V Joudi. On 5 January 2015, Turkish Coast Guard intercepted a Bolivian flagged vessel in international waters off Tobruk, Libya. The vessel was varying 13 tons of cannabis. The seizure took place in international waters 55 nautical miles from Tobruk and 140 nautical miles from Create. The target M/V Joudi was intercepted by two Turkish Coast Guard OPV’s TCSG Yaşam and TCSG Umut. TCSG Yaşam departed from Mersin and TCSG Umut departed from Marmaris. A maritime patrol plane from Turkish Coast Guard shadowed M/V Jourdi. The vessel boarding search and seizure team was supported by two narcotic detection dogs. When M/V Jourdi departed from Syria, international drug traffic enforcement authorities were tipped of about the 13 tons of narcotics on board. Turkish Coast Guard started to track the ship on 3 January 2015. In the mean time Turkey contacted the flag nation of the vessel, Bolivia and received a permission for the seizure operation. Currently the captured vessels is under the command of Turkish Coast Guard and is heading to Turkey. although her exact destination is not known at the moment it is safe to assume that she is heading to Aksaz Naval Base in Marmaris; the nearest Turkish naval base. According to Turkish jurisdiction Turkish Coast Guard is the maritime law enforcement agency and has the right to detain suspects. So they are correct force to conduct such operation but just a couple of years ago such a bust by Turkish Coast Guard was not possible since then they did not have any vessel with that range. The commissioning Dost class off shore patrol vessels dramatically increased operational area of our coast guard. Turkish Navy will return to Libya to help the reconstruction of the Libyan fleet and to help the training of the mariners. Libyan Naval Forces Command has asked Turkey’s cooperation in reconstruction of its armada, training of mariners and in military issues. Bases in Tripoli, Homs, Misurata, Sirte and Benghazi cities have been damaged during NATO’s operations in May following the the uprising against Moammar Gadhafi’s 42-year rule. Libyan officials recalled that several Turkish companies had constructed the ports in Tripoli and Homs 20 years ago, noting that some Libyan officers had been trained in Turkey too. Commander Mustafa Joha in Tripoli base told AA that Turkey had an advanced fleet force, adding that they wanted to make cooperation with Turkey. Noting that warships, arsenals and ports had been severely damaged during NATO operation, Joha said that it would take a few years to reconstruct the armada. Joha said that Libya and Turkey were two Muslim countries, adding that Turkey extended great support to Libya during the civil war. This invitation from Libya could be seen as a payoff that Turkish Navy was helping the Libyans to get rid of the Gaddafi Regime but in the mean time was not actively destroying the country. Click here for more photos from the remains of Libyan Navy in the Post Gaddafi Era. In this video Turkish special forces team deployed on board of MEKO 200 Track I class,Turkish frigate F-243 TCG Yıldırım are boarding the Romanian frigate F-221 Regele Ferdinand. This boarding was made as a demonstration for the Lieutenant General Charles Bouchard, Operational Commander of the Operation Unified Protector. Click here for the photos of the same demonstration. Turkish Navy’s sole surviving Knox class frigate F-253 TCG Zafer is taking part in Operation Unified Protector. Or she was, as today NATO’s website about the operation does not list she, but her name does appear on the Google cache of the same page. But the photo of the left leaves no doubt that TCG Zafer was off Libya some time in May as the photo is from the Facebook page of USNS Kanawha. I am surprised to see this old ship still going strong as I was thinking that she may have been already decommissioned. BS Gordi, sister of BS Drazki. 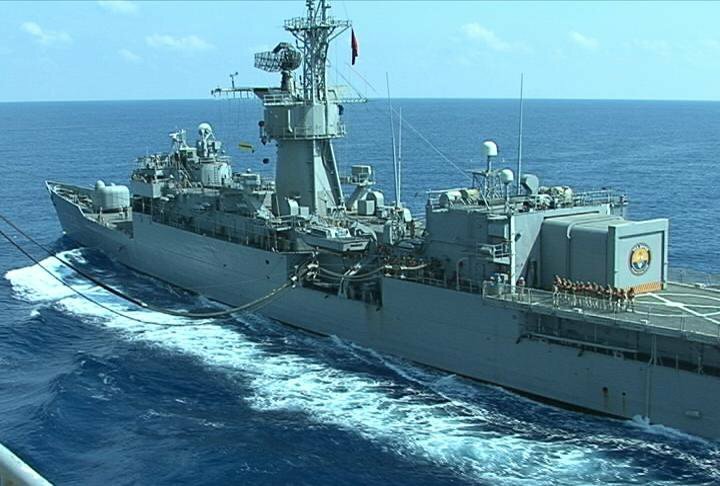 Bulgaria’s contribution to NATO’s Operation Unified Protector, the frigate BS Drazki is having a three day break on the Greek island of Crete for refueling and fresh food and water supplies. The captain of the Drazki frigate, Pancho Panchev, reported that the vessel has been patrolling in the Mediterranean as instructed by the NATO command but has not been given the task yet to inspect cargo ships or fishing boats. Captain Panchev further reported to the Bulgarian Defense Minister that the crew are in good condition, and the frigate has no technical issues. Panchev stressed that the Bulgarian Navy crew has found that its training to be adequate for the international mission in the Mediterranean. The range of activity of the Bulgarian Navy is traditionally confined to the Black Sea; the only time it operated outside the Black Sea was in 2009 when a Bulgarian crew brought from Belgium via the Atlantic Ocean and the Mediterranean three vessels that Bulgaria bought second-hand, according to Bulgarian news agency Novinite. The Bulgarian government has approved sending a frigate for three months to the Mediterranean Sea to take part in the NATO operation, but the ship will be rotated with the rest of her class BS Gordi and BS Verni so that each ship will spend one month in Mediterranean. This is the first long ranged, out of area operation for Bulgarian Navy. Yesterday a Turkish flagged merchant ship carrying humanitarian aid docked at Misrata port. But as soon as the ship was in harbor forces royal to Ghaddafi started to shell the port. The ship was able to get underway and leave the port undamaged. According to Foundation for Human Rights and Freedoms and Humanitarian Relief (IHH) – yes, the same IHH that send the M/V Mavi Marmara to Gaza last year – the ship was charted by them to carry humanitarian aid to Misrata. The ship was waiting the last four days off the coast of Misrata as the NATO forces were countering the sea mines placed by Ghaddafi forces to block the port and its approaches. As soon as the aid ship proceeded into the harbor and docked several Grad rockets were fired and some fell as close as 10 meters. The captain decided not to risk his ship and made a dash out of the port so quickly that the mooring lines were cut in hurry. There is a video from Channel 4 News showing the aid ship getting out of the port. The ship is safe and waiting 25 miles off the coast of Misrata now. 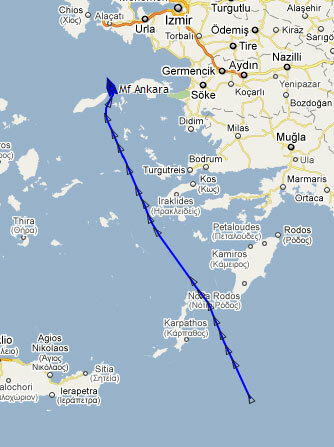 The missing Turkish ferry M/F Ankara returned to Çeşme, İzmir. The ship of course was never missing officialy but she was not seen or reported for the last couple of days. 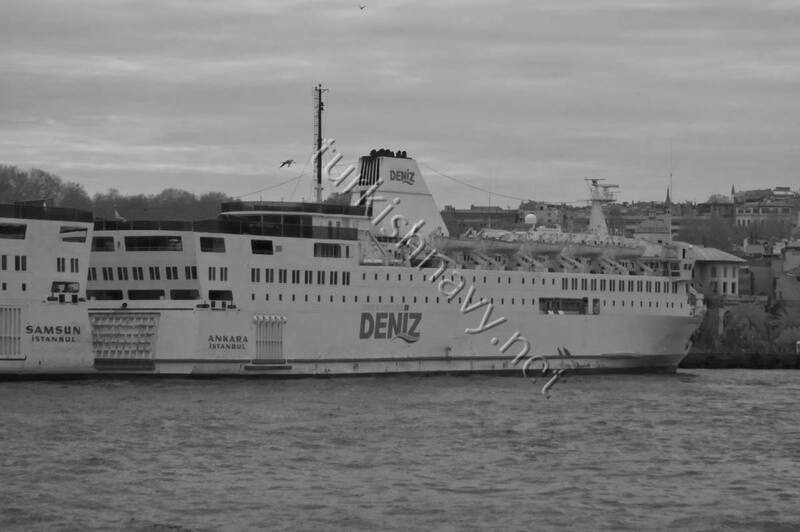 M/F Ankara is a civilian ferry. She was used in the evacuation of civilians from Libya in March with her sisters M/F Samsun and TCG İskenderun. In early April she was used as a make shift hospital ship to evacuate ca. 300 wounded Libyans from Misrata and Benghazi. Later she returned to Benghazi to evacuate 1025 Egyptian from the town. She was later seen of AIS, heading back to Libya. Then she was off the coverage of AIS system only to emerge today. Apparently there was no use for her in Libya or she will pick up some supplies to be delivered to Libya. 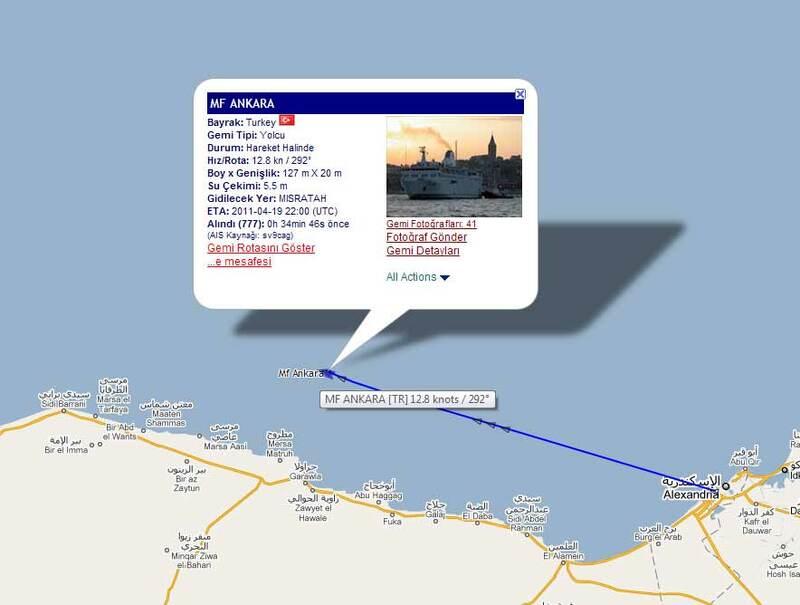 The Turkish ferry M/F Ankara has left Alexandria, Egypt and is heading to Misurata. With her current speed she will arrive in the Libyan town in 26 hours. On 12 April she has left Benghazi with 1025 Egyptian evacuees on board. She was in Alexandria since 14 April 2011. Disaster and Emergency Management Agency and Turkish Red Crescent are sending 818 tons of humanitarian aid to Libya, including food, drinking water, hygienic supplies, 100 generators, 2 ambulances, 15 mobile satellite telephone sets, on board of Turkish flagged cargo ship M/V Kaptan Selim. The ferry M/V Ankara arrived in Benghazi on 11 April 2011. She took 45 Libyans, treated in hospitals in Turkey back home. According to the announcement from the Office of Prime Minister the ship will remain in the region as she will evacuate Egyptians from Libya. Today the ferry left Benghazi with 1025 Egyptians and is heading to Alexandria. She is expected to arrive there on 14 April 2011.